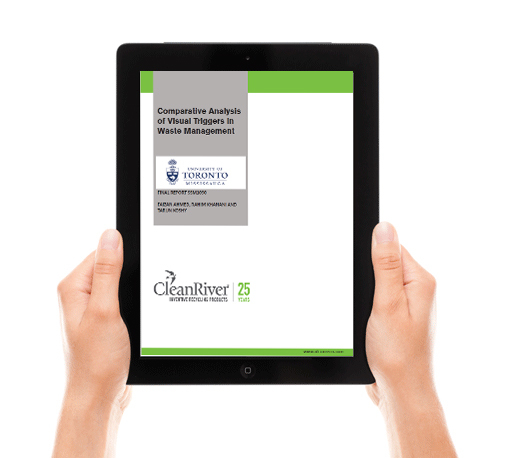 A recent survey revealed the number one recycling program challenge facing CleanRiver customers is program compliance by employees and visitors. The second biggest challenge is contamination of the recycling and waste streams. Recycling stream contamination can lead to costly fines from your waste hauler. And even worse, it can result in your recycling load going straight to the landfill. 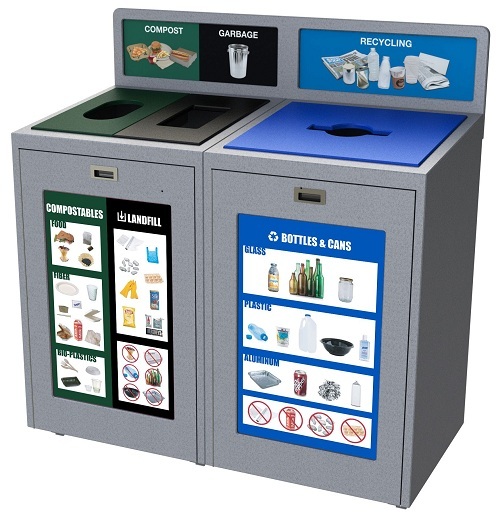 It’s vital that everyone in your facility knows what can be recycled. Internal communication of the program is vital for success. Hold regular refresher meetings to update employees on any changes to your recycling program and to make sure that everyone knows what is recyclable. 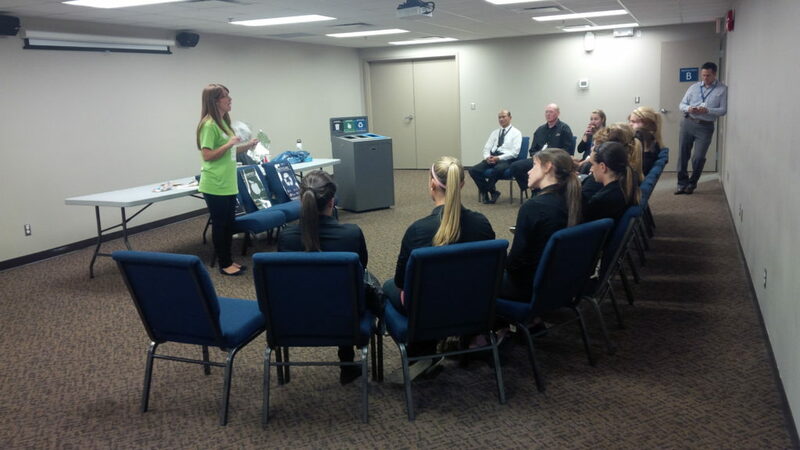 When implementing their zero waste program the Langley Events Centre, BC, trained employees on how to effectively use the bins. After learning what was recyclable and compostable employees could then coach stadium visitors on how to use the program properly. A study by Missouri University in 2011 discovered that using images rather than text on recycling graphics increased recycling by 53%. 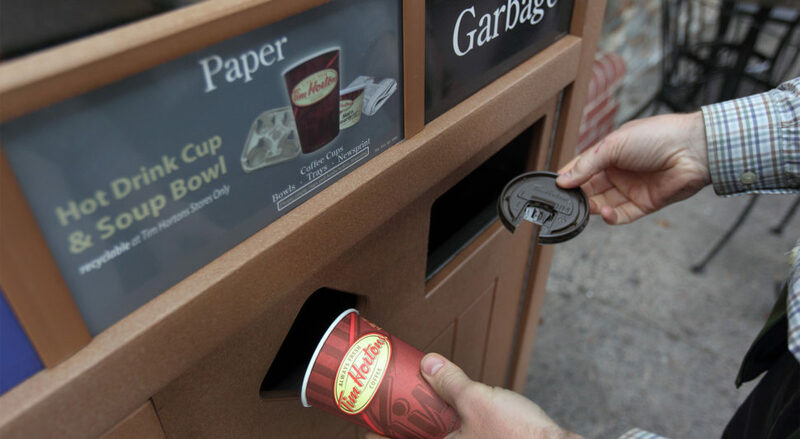 People only have 2-3 seconds as they approach a bin to decide on where they will toss their waste, images help them quickly identify the right stream. 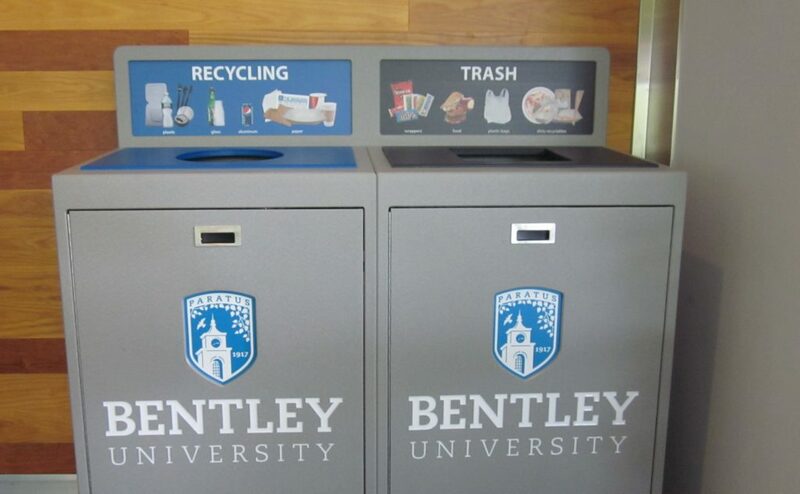 Bentley University uses clear and concise graphics to tell students and staff what’s recyclable. Consistent colors and opening shapes help people learn what’s recyclable. Right now there aren’t standardized colors for recycling however many cities have adopted an informal color scheme. In San Francisco for example, common colors used are blue for recycling, black for landfill and green for organics. San-Francisco-based Tesla uses green for organics, black for landfill and blue for recycling. A little healthy competition is a great way to motivate people to reach their goals. Posting regular diversion rate updates help people keep the recycling program top of mind. 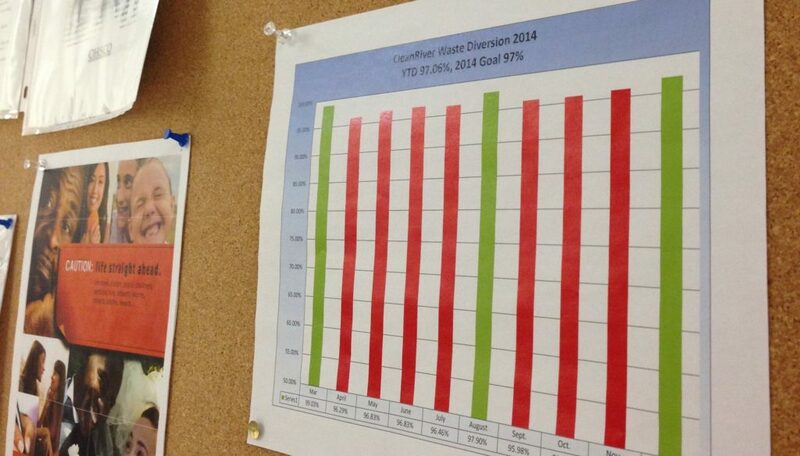 At CleanRiver, the Green Team awards monthly prizes to employees who demonstrate a sustainable behavior. Post diversion rates to motivate people to recycle. Using compostable plates and cutlery helps divert significant waste from landfill because it makes it easier for people to do the right thing. In cafeterias and for special events, people can just toss their leftover plates and food all in the same bin. The Magna Hoedown is a 2-day charitable event in Ontario. To meet their diversion rate targets they use compostable plates and cutlery to reduce the amount of landfill trash at the event. 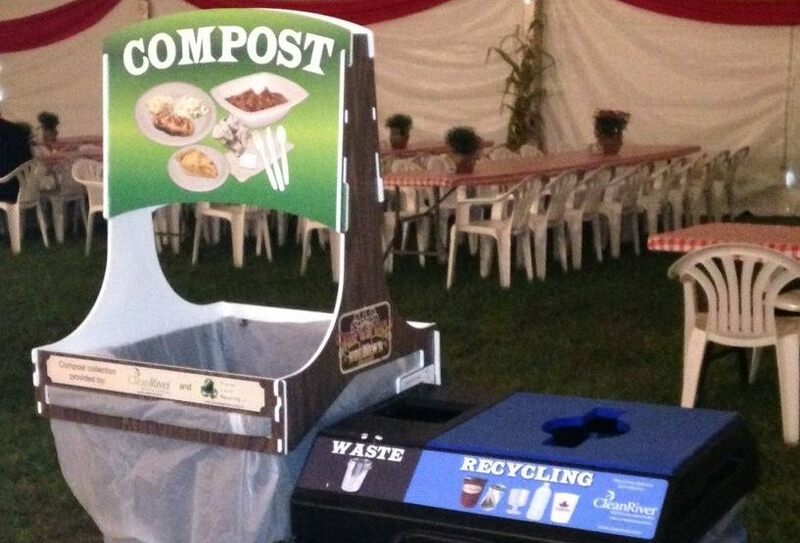 Compostable plates and cutlery are used at the Magna Hoedown to help them reach their zero waste goals. To learn more about getting people motivated to recycle call our team at 1-888-646-4246 or email solutions@cleanriver.com. Need help to design your recycling graphics? Take a quick look at our catalog of standardized recycling labels.